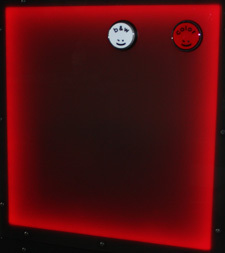 Our patented upscale photo booths come in an enclosed 5' x 5' canopy system allowing your guests to go wild with out worrying about whose watching and what they may think. The canopy system fits 3 comfortably, but we've seen 6 people run in there. This is not your typical system you see at malls. 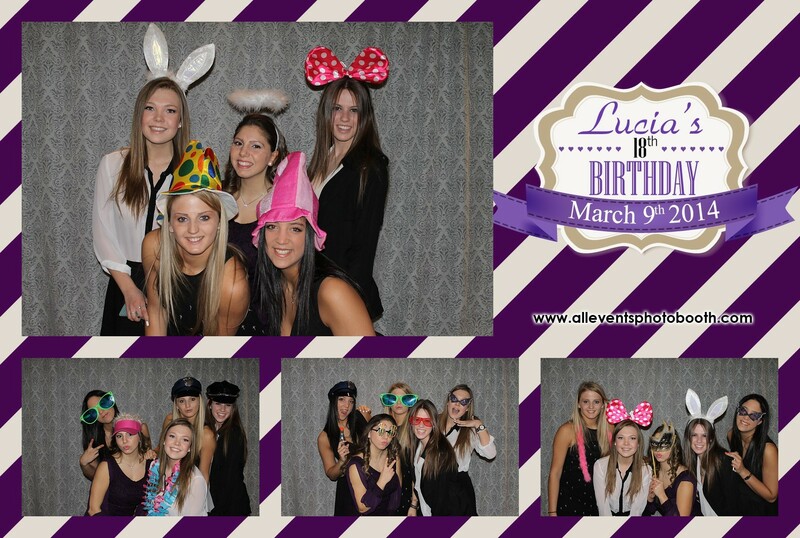 Our All Events Photo Booths are meant to be used for events. The photo's are printed on the spot through our lab quality high-speed dye sublimation digital photo printer so you can expect exceptional quality prints in a hurry. With a large 20" LED flat screen monitor installed, you can check out your funny pose before the picture is taken so you know just how hilarious you and your friends look. 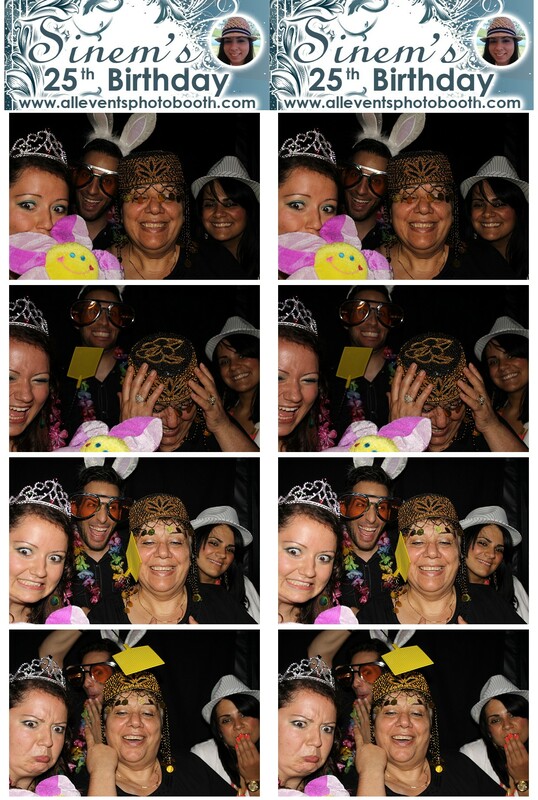 The All Events Photo Booth is extremely easy to use. Step inside, choose color or black and white, and then pose for all your shots. The booth will count down to each shot. It will tell your guests when they are done, and remind them to pick up their pictures. We recommend giving our photo booth enough room for the props and the line up that will happen as everyone joins in on the fun! 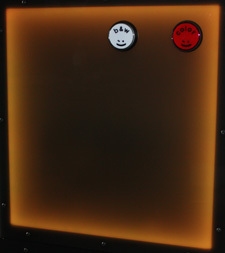 We also have the OPEN-AIR system, where the photo booth tower stands alone, and we provide a generic back drop. This is our most popular system, which is not only safer, but it also allows for more people in each shot. It also allows friends, family, and other event goers to jump into a group shot for the infamous "photo bomb". Read More Below! What we need from you and your event center is access to a power supply/outlet near by to the photo booth's set-up area, about 10' by 10' space, a table 6 feet in size or greater, and time to set-up before our start time. If you are also getting a album for all your shots, a second table would be necessary. Having a second table is always beneficial. The Open-air system has the exact same system as the enclosed system, just without the canopy. The benefit of this is that your other guests will be inspired by the creativity and fun had by the people ahead of them. This will also attract more guests to join in on the fun. 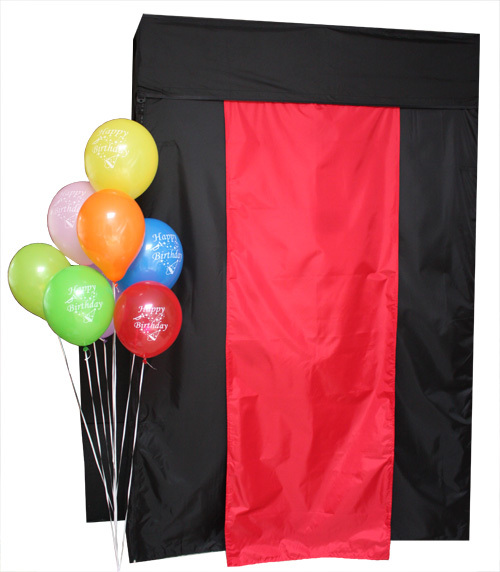 This system also comes with further options including a choice of color or pattern in the back drop, and allows for custom made back drops that we can design and have made for you (this is an additional fee based on the size of the back drop you wish to use) which is perfect for events where you have a theme or for that celebrity/press conference look. We do also have stanchions and a red carpet to further this celebrity V.I.P. feel. This is the best options for smaller events like birthdays at home, and BBQ's. The All Events Photo Booth will provide your guests with easy instructions to ensure they have fun, even if intoxicated... ummmm...yes... easy instructions. The open-air system can fit an infinite amount of people into the shot. The amount of people that can enter the shot is based on how much space is available, and the amount of people that are available. But don't test this theory and attempt to fit an infinite amount of people into the shot. You do still want to see each individual in the print out. We still do require a table for props and the station for the guest book, and 1-2 chairs for our representatives. 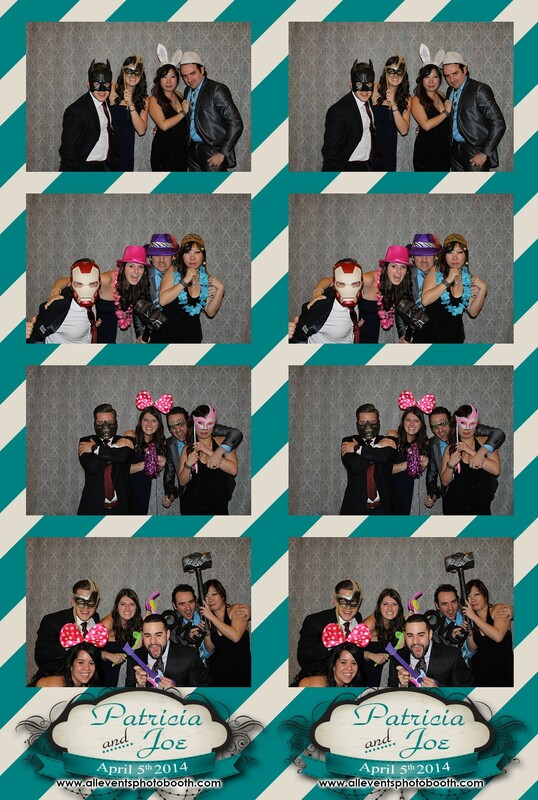 All Events Photo Booth has a large amount of albums to select from. These albums are all post bound and come with page protectors and different color interior pages catered to your event. We also provide the proper writing tools and archival safe adhesives to make sure everyone has a good time and you get a copy of all the fun! For those who opt in for the upgraded elite album, your guests will receive a plethora of fun tools and items to make their experience just that much more fun, and provides you with a album that is a lot more customized and filled with a lot more personalized memories. Comes in many styles including fabric and synthetic leather. Color's range from red, blue, navy, green, pink, black, ivory, white, purple and more.